Just What Is A TDS Tank System And How Does It Work? Potable Water Tanks. The right storage solutions play a key role in delivering clean, safe drinking water to communities. 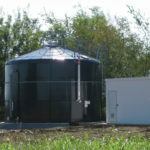 Wastewater Tanks. Runoff, stormwater, and other contaminated water stays safely contained. When it comes to drinking water, every drop counts. 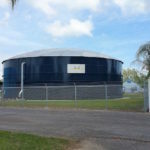 While communities may take potable water for granted, its treatment and storage requires a complex infrastructure at a time when municipal budgets are only growing tighter. 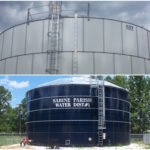 Southeastern Tank offers cost-effective, turnkey tank applications to help cities and towns keep the taps running. 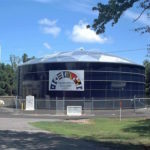 Aquastore (distribution, clearwell, raw water, and storm water). HydroTec TS (distribution, clearwell, raw water, and stormwater). HydroTec CS (distribution, raw water, and stormwater). Aquastore (best product for most municipal wastewater, especially for open top applications). 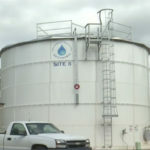 HydroTec TS (cost effective storage for larger capacity tanks). HydroTec CS (most economical storage option).